I didn’t fall in love with chestnut honey right off the bat. When I took my first spoonful from the jar, I took a little too much and recoiled from the bitterness. While celebrated in some cultures, some of us are less-accustomed to bitter flavors. 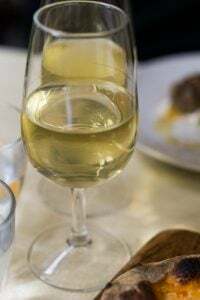 I can’t eat bitter melon, for example, but I have come to love chestnut honey, especially when dribbled over toast with butter, fresh ricotta, or vanilla ice cream. 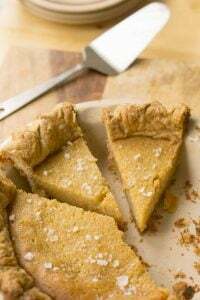 In those cases, it’s magically transformed into a honey experience different from you might have expected, its assertive flavor tamed by the creamy elements. 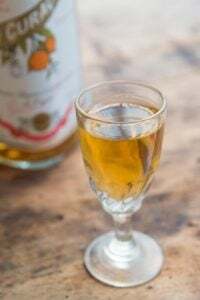 Chestnut honey has an unmistakable flavor, which could also be described as a little smoky, and kind of spicy, and you just might find yourself craving it over and over, like I do. Although I’ve learned that a little goes a long way. We get miel de châtaignier in France although I think Italian chestnut honey is the most prominently available outside of Europe. It can be a challenge to find in the United States, unlike buckwheat honey, which is more common because it’s made in America. Both buckwheat and chestnut honey are brusquely flavored, although each is different, and I’m hooked on the two. Europeans eat, and shop for, honey by variety – much more so than Americans. 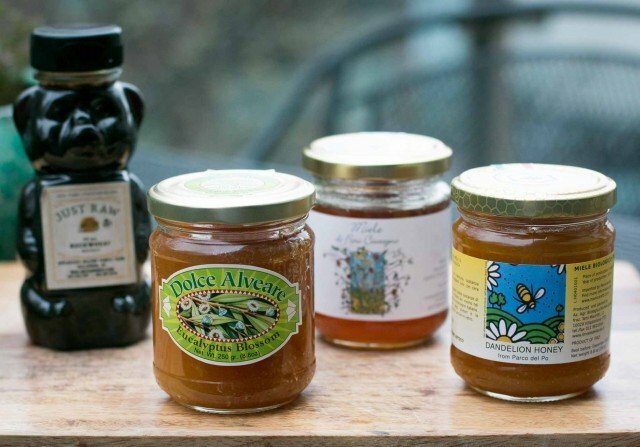 Some honeys are said to have health-giving properties and in France, they’re sold along with a spoonful of advice as to which variety will help you with one of the ailments that you have. And if you ask, the French discuss them openly: I had a honey vendor ask me if I was constipated while I was perusing his honey selection at an outdoor market. Wasn’t sure that was the right place to be discussing my digestive tract, but you get into the habit of openly having those kinds of discussions in France. Just like I’ve gotten into the habit of swiping dark honey on my morning toast after it gets a liberal swipe of salted French butter. When he found out how much I love chestnut honey, my friend Rolando Beramendi of Manicaretti sent me a jar of chestnut honey that he exports, and added that he loved to make honey gelato from it. (He is a wholesaler, but the chestnut honey, and his other fine Italian products, are available from Market Hall Foods.) While chatting with Rolando – who is Italian – he asked me about Americans not having an affinity for wild, dark and bitter flavors. I thought about it, and we do like those flavors in some respects: We eat bitter greens like broccoli rabe and kale, as well as rye bread, rhubarb, lemon, beer, whiskey, buckwheat (and buckwheat honey), and barbecue, which isn’t bitter, but has smokey, woody, and earthy flavors. Curiously, a few days before, we’d had lunch with an American friend of ours who lives in Italy and writes about Italian food, and the subject of how Italians don’t crave spicy foods, while we were spreading spicy ‘Nudja on bread at a pizzeria in Brooklyn. I’d never had it – boy, is that stuff good! – although they said you wouldn’t find the sausage-like spread that spicy in Italy. When I mentioned the red chile flakes and other spices sometimes found in Italian dishes, they both said that they are not common. But in general, it’s hard to generalize about entire cultures, generally speaking. If you can’t get chestnut honey, you can use another strongly flavored honey for this ice cream, such as buckwheat honey, which is rare in France. (Most of it that’s available comes from Canada.) In France, pine honey (miel de sapin) is strong and quite tasty…and is a diuretic, in case anyone asks. Another good, strong French honey is miel de bourdaine (buckthorn). Or you can go to your local honey shop or stand at the market and taste some samples…but prepare yourself for a little interrogation about your inner workings. 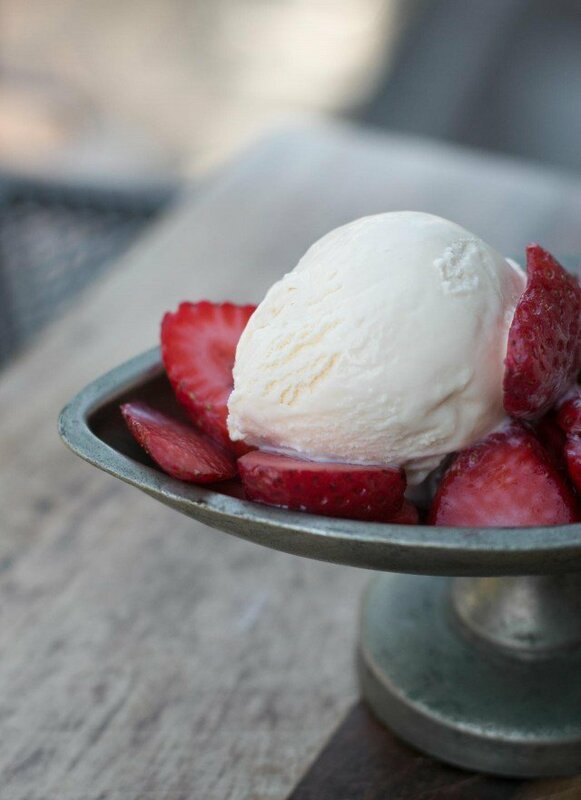 For those who have issues with homemade ice cream getting too hard, because of the honey, this ice cream stays soft and scoopable – even right out of the freezer. 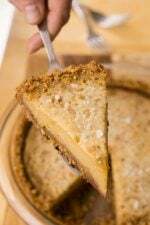 It’s nice just as is, but one could serve it with crumbled nut or sesame brittle (there’s a recipe for that in The Perfect Scoop) on top, or toasted hazelnuts or almonds. You want to pair it with something to compliment the honey flavor, not compete with it. (Sorry chocolate!) Spring and summer fruits work really well, such as rhubarb, strawberries, apricots, plums or peaches, when in season. 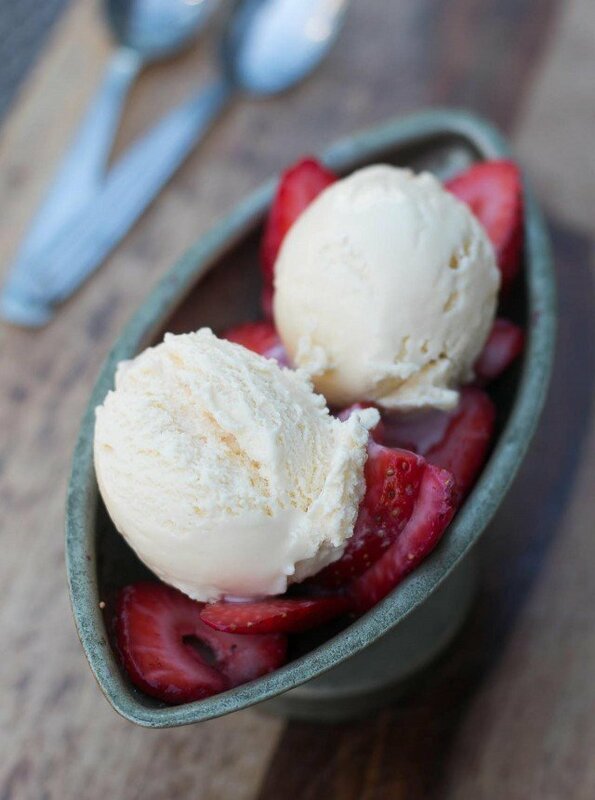 Adapted from The Perfect ScoopThe honey gives the ice cream a smooth texture, but be sure to add it after cooking the custard: honey is slightly acidic and can cause custards to curdle. Perception of sweetness changes if mixtures are cold, so you might want to taste the chilled ice cream custard before churning. If you’d like to add a tablespoon or two more of honey, you can. If it’s very thick, warming it slightly will help it incorporate.If you don’t have an ice cream maker, you can freeze this ice cream following the instructions here. 1. In a medium saucepan, warm the milk, sugar and salt. 3. In a separate bowl, whisk together the egg yolks. 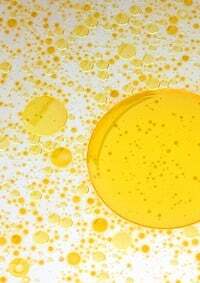 Once the milk is warm, slowly pour half of the warm milk into the egg yolks, whisking constantly. Scrape the warmed egg yolks back into the saucepan. 4. 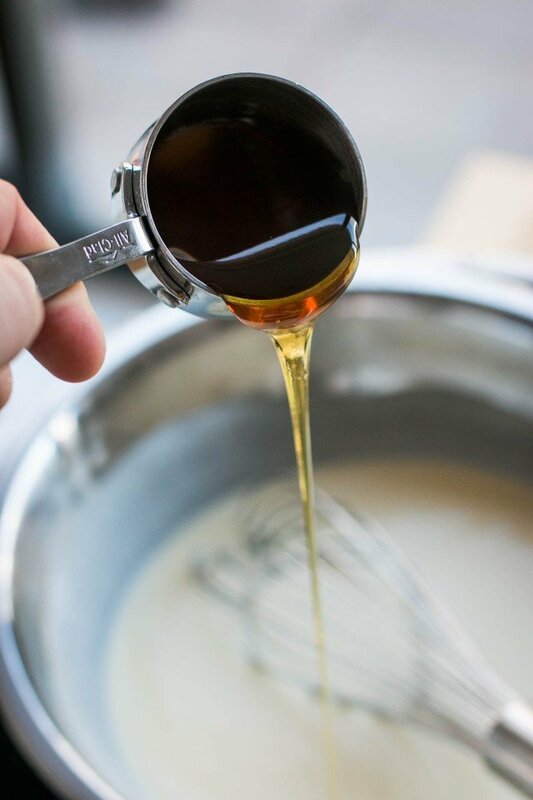 Over medium heat, stir the mixture constantly with a wooden spoon or heatproof spatula, scraping the bottom as you stir, until the mixture thickens and coats the spoon. 5. Pour the custard through the strainer, stir for a minute or so, until tepid, then mix in the honey. 6. Chill mixture overnight. The following day before churning, taste the custard and add additional honey, if desired, then freeze the mixture in your ice cream maker according to the manufacturer’s instructions. I am still trying to get used to chestnut honey. I bought a large jar at my local bee farm and now have a way to use some of it. I do find it an acquired taste. Oh my this sounds good! I have all kinds of honey, but I didn’t know about miel de châtaignier. I’ll look for it, and maybe even dare to make ice cream. I have three or four different sorts of honey in my pantry right now (I love it with butter on toast too), but not one of them is bitter! Time to add to my collection. I discovered chestnut honey on Corsica, where they also make it, and after I got used to the slight bitterness, found it totally addictive. I also fell madly in love with the island–the local food and wines are wonderful–but I haven’t had any since then (2010). Your ice cream recipe gives me another excuse to go back! Love your article. Have you had Sourwood Honey? It is a stronger flavored honey. 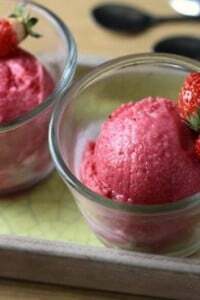 I have a jar in the pantry and will try it in your ice cream recipe. My FAVORITE honey is Acacia!! LOVE IT. I like to toast a slab of french bread, spread the still warm toast with Grand Noir blue cheese, and then drizzle with Acacia honey. DIVINE!! I have cut the yummy toast into small pieces and served as appetizers with a nice champagne for brunch. Guest rave about it, and it is so simple!! I’ve never tried Chestnut Honey but now I want to find it. 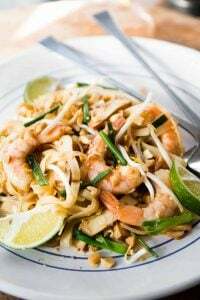 Looks like a great recipe to try, especially with warmer weather coming soon! why do you need sugar when you use honey?? I think I’ll need to try this. It’s been nearly a decade since I tried a honey ice cream recipe — disastrous sequence of coincidences that ended up with cold honey cream soup spiked with Bärenjäger — but I trust you! David, similar to the comment above, could you take out the sugar and instead add more honey? Also, on another topic, my husband has taken your advice to heart to always double the chocolate in a recipe. We have an ongoing debate regarding whether we should apply this rule to your recipes. What would you do? 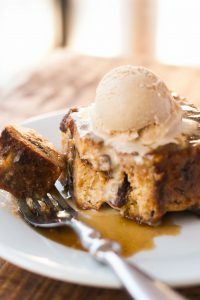 Shannon and Suedoise: You could add more honey but the flavor would be extremely strong and the custard might be so soft that it wouldn’t freeze. You’ll notice I use more milk in this recipe than I usually to do compensate for that a bit. As for doubling chocolate in my recipes, I test recipes to get the flavor to where I like them and think other’s will too. If you double the chocolate, you’ll affect a lot more than flavor so you’d need to compensate for some baked goods, although I can’t say how without testing, and retesting, etc. I normally have chestnut honey with a slice of well aged pecorino but this ice cream sounds heavenly! A few years ago we stopped at a honey-producer’s shop in rural France. In addition to the various displays, they offered a honey-tasting. I was astonished by the variety of flavors, from citrus to smokey, sweet to bitter, with only a few of the floral notes I had previously associated with honey. I’m slowly becoming a fan of the bitters, but definitely an acquired taste. One of the all time great honey pairings I ever had involved Chestnut honey. I was at the Nonino distillery and they had me try their Gioello, a distallate made from chestnut honey. They served it with pecorino, which had been drizzled with chestnut honey. It was absolutely amazing. I’ve never tried chestnut honey before, and a bitter honey sounds a bit like an oxymoron. A delicious, delicious oxymoron. When I succeed in tracking down chestnut honey I’ll probably spoon it over yogurt or toast, but if I make this ice cream I’ll definitely add almonds to it. Wow, need to find some chestnut honey (never had it) and maybe make into gelato. Looks perfect with strawberries. My favorite honey is fireweed, which is common in the Pacific Northwest. It’s very flavorful. We are lucky to have a honey producer around the corner from us who seems to have unlimited supplies of it. 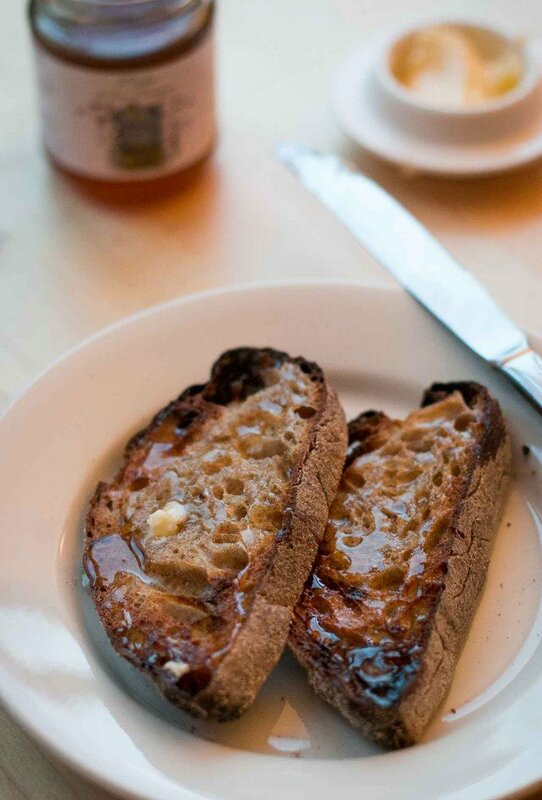 That is my absolutely favorite honey – try some drizzled on ricotta spread over warm toasted bread. I’ve never heard of chestnut honey before, I’ll have to seek some out as it sounds lovely and I adore honey ice cream! why is a honey ripple not an option for ice cream? why only a drizzle on top just before serving works? i heard that the honey splits when frozen, maybe you know, is it true? so interesting you posted this article this week. i was visiting a friend in ithaca, ny this past weekend, who makes small batch ice cream for sale. i had a dream about honey ice cream, and she whipped up a batch using a recipe from your “perfect scoop” book (but with honey only). we had a plain batch, and i had a craving for dark chocolate drizzled in, so we had a couple of pints with that. i thought the chocolate complimented it well. might be interested to try some with fruit, though. Honey is great dribbled over ice cream, it gets toffee like. I first tasted chestnut honey about 17 years ago in Montalcino, Italy. i did NOT like it. Perhaps in ice cream…not sure. My favorite bitter is… chocolate! Tea is also good though I’m less fond of coffee. Bitter may be a little more usual than commonly thought. Interesting that you should post this since I was just reading about frozen honey parfait in Honey & Co. The Cookbook, Itamar Srulovich and Sarit Packer. Now I’ve got to try both recipes! 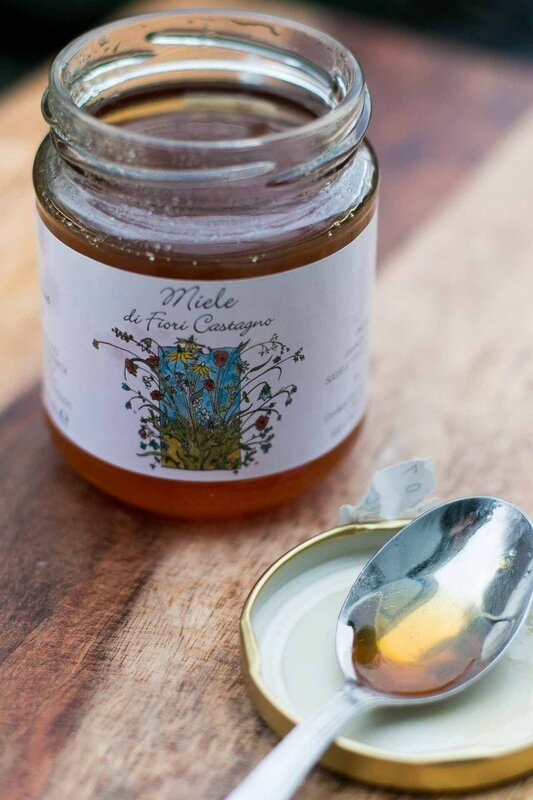 Il you like bitter honeys you should try corsican “miel de maquis d’automne” which comes from the “maquis” which is the predominant corsican vegetation (kind of thick dense bushes with highly aromatic plants). It is even more bitter and strange than chestnut honey and has a very unique flavor. The spring version is “softer” and less strong. 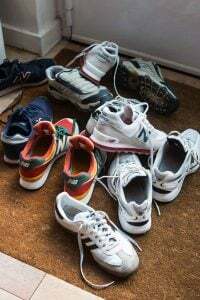 You can find them at U Spuntinu shop on Rue des Mathurins, and I think in other Corsican shop. And for these shops I do not recommend Terra Corsa shops believe me, I am Corsican. I have a funny relationship with honey too. I like orange blossom varieties, but I generally never have honey on toast or in it’s raw form. I like it in baked goods, florentines are so honey rich and I’m sure this ice-cream would be absolutely delicious. Any suggestions on how to handle it if you don’t have an ice cream maker? Yes. 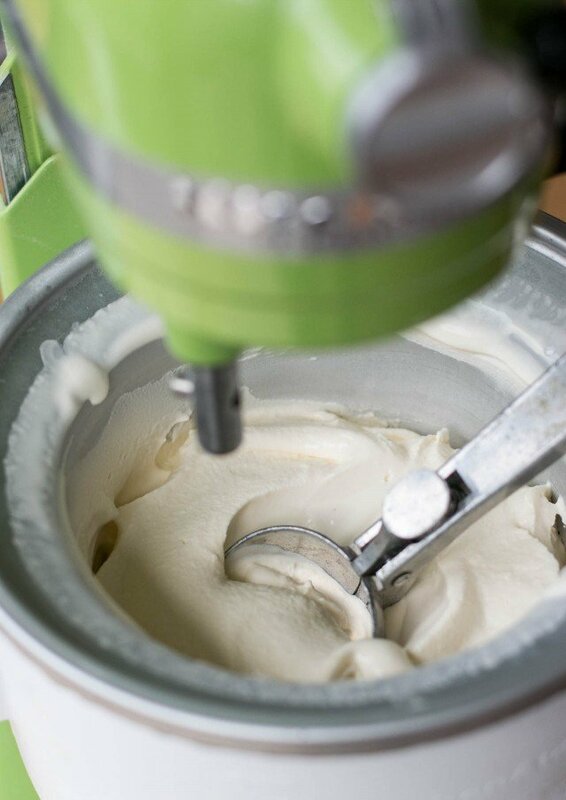 There are two links to a post I wrote on making ice cream without a machine. One is at the end of the headnote, just before the recipe, and the other is in the list of links, just after it. Amazon Prime sells L’ Abeille Occitane’s Miel de Chataignier Chestnut Honey. A jar is on its way to my front door. Thanks. I love buckwheat honey, but my favorite is dandelion honey. I have a very difficult time locating dandelion honey so I usually settle for buckwheat. Yum. I love chestnut honey. Quite a few of the local apiarists in the Touraine offer it and there is a lot of sweet chestnut in the forests here. Buckwheat is usually reasonably easy to get too. I’m hoping to help out with that this year, as I’ve planted a buckwheat crop for the pollinators. The one I have only ever seen once is buckthorn. Wow this sounds so good especially over fresh fruit! I bet I could substitute agave syrup, which has such a complex flavor, and is now preferred by us over honey. Something new to try in my cocina. Gracias, David. Chestnut honey is actually the ONLY honey I like, having been brought up by overly health-conscious parents who made me eat honey when what I really wanted was jam. Chestnut honey tastes sufficiently unlike honey for me to enjoy it without being reminded of my no-jam days. Funnily enough, I first discovered it through a fantastic gelato di miele that they make in the one gelateria of the Cinque Terre village of Corniglia. If anyone’s hiking the Cinque Terre this year, you should give it a try. SO good! Made this yesterday for a dinner party and it was a hit alongside some strawberries. Fabulous recipe. Hi David, this looks absolutely delicious, combines all the flavours I really love – I can’t wait to make this! I, too, live in Paris and I am wondering what heavy cream you buy? I normally go out of my way to pick up organic ‘single’ or ‘double’ cream from Marks & Spencer cause I hate the UHT stuff full of stabilisers and gums that you get in supermarkets here. 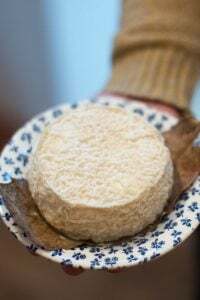 I use crème fluide or crème entiere (more info here) – but yes, it’s hard not to find ultra-pasteurized heavy cream in France. (I always found it odd that cheese shops, who are champions of raw milk cheeses, almost always carry UHT heavy cream. Bellevaire cheese shops carry raw cream.) Some national French brands aren’t sterilized but you have to read the packages. I keep hoping they’ll open a Marks & Spencer near me because I hear they are great! Thanks David. Yes I’ve always found it bizarre how fromageries and the cremeries at the markets carry UHT cream and milk, such a contradiction. Yes, I can’t live without M&S, they have a lot of stuff that is hard to come by here in Paris (cream, stock, seedless grapes, baking ingredients). Thanks for the Bellevaire tip, I often buy raw milk from them but didn’t know they made raw cream as well. I made this with local honey made from tropical lychee and longan! The honey was dark and very molasses-like, so perfect for this! It’s delicious! I doubled the recipe, used an Italian Honey and Coconut milk and took my time with the custard on the stove top. Outstanding Ice Cream. Sounds like a wonderful recipe for using leatherwood honey from Tasmania! Thanks for this recipe! I’m not sure if they still sell it, but I had the most amazing chestnut honey ice cream in Paris at Arnaud Larher, and it started a bit of an obsession. I used to sneak chestnut honey back to NYC in my suitcase but now it can be found rather easily in NYC – Marlow often stocks it.